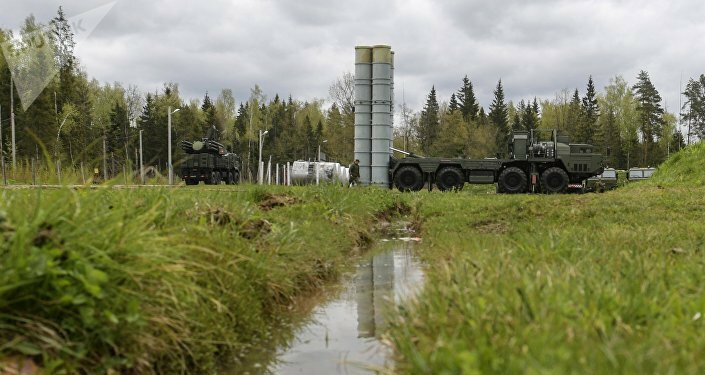 Turkey is close to buying Russian-made S-400 Triumf missile defense systems, as talks between Ankara and Moscow enter the conclusive stage. According to Turkish expert Mesut Hakkı Caşın, NATO should not be concerned over the deal since the alliance could win from it. Earlier this week, Sergei Chemezov, CEO of Russia’s Rostec Corporation, said that Moscow and Ankara agreed on all the technical details of the deal, with only administrative aspects remaining. "The final decision will be made by the Russian and Turkish governments. Negotiations with the [Russian] Ministry of Finance are underway and, most likely, some funds for this project will be provided by Turkey itself, and some will be received in the form of a loan," Chemezov told journalists on the sidelines of the MAKS 2017 air show. Negotiations on the matter have been ongoing since 2016. In March, Chemezov said Ankara was ready to buy the S-400 systems with a loan granted by Moscow. Last week, Turkish Defense Minister Fikri Isik said that the negotiations regarding Russia's delivery of S-400 air defense systems to Turkey have reached the final stage. "We have approached the final stage with regard to S-400. Namely, the talks are about to have a positive outcome. However, one cannot say that the issue is closed until the signatures are put. We are at the final stage and no problems are foreseen," Isik said, as quoted by the Yeni Safak newspaper. Since Turkey is a NATO member, the United States has repeatedly expressed concerns over the possible delivery of the S-400 systems to the country. Last week, Pentagon chief James Mattis said that the deal raises questions about NATO compatibility. "The problem is how do you interoperate in the NATO system with Russians? They'll never interoperate. We'll have to see – does it go through? … But you know, we'll have to take a look at it," Mattis told journalists. The question is why Washington seems to be concerned over the Russia-Turkey S-400 deal, because many NATO members, including Romania, Bulgaria, Greece and Germany have Russian-made weapons in service, including the S-200 and S-300 missile defense systems. In an interview with Sputnik Turkey, professor Mesut Hakkı Caşın from Özyeğin University said that Washington’s concerns over the S-400 delivery to Turkey are groundless. "Turkey once asked its NATO allies to supply it with air defense systems. But Germany recalled Patriot missile systems due to political reasons, using them as political leverage. Moreover, the Patriot systems could not cover all of the problematic regions in Turkey. Meanwhile, the S-400 with its advanced capability will perfectly serve Turkey’s security interests." 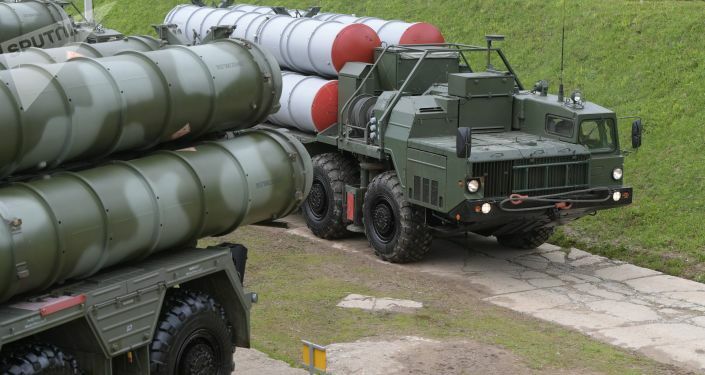 The S-400 Triumf, which NATO refers to as the SA-21 Growler, was developed by the Almaz-Antey defense contractor and manufactured by the Fakel Machine-Building Design Bureau. The system is capable of intercepting all types of modern air weaponry, including fifth-generation warplanes, as well as ballistic and cruise missiles at a maximum range of 400 kilometers at an altitude of up to 30 kilometers. The S-400 can simultaneously hit up to 36 targets. "[Such a capability] is an important factor for Turkey, I think that as a prominent military man the Pentagon chief understands that," the expert added. Caşın pointed to the fact that the lack of capable missile defense systems has been a serious problem for Turkey. "Amid Middle East conflicts of the last three decades, there has always been a threat to Turkey’s territorial integrity and national security. Moreover, there is also a threat from ballistic missiles deployed in Iran and other neighboring countries," the expert said, stressing that Ankara needs the most advanced missile defense system of its class. Commenting on Mattis’s concerns about the Russia-Turkey deal, Caşın pointed out that Turkey is a sovereign and independent state and despite being part of a military bloc Ankara has every right to buy any weapons it needs to maintain its national security. The expert also said that if Turkey has an advanced missile defense system this would only add to the security of other NATO allies, including the US. "If there Turkey has a capable missile shield it will be even good for the US. So, I can’t explain why the Pentagon said that the S-400 cannot be integrated in NATO’s systems. In technical terms, any system can interoperate with the NATO standard," Caşın concluded.